SoarPay is the #1 merchant account for magazine subscription companies. Soar Payments Is The #1 Choice For Magazine Subscription Merchant Services. Most credit card processors do not work with magazine sales businesses. Often magazine sales business owners will spend hours going through the application process with a credit card processing salesperson, only to have their application immediately rejected by the underwriter. There are three primary reasons payment processors often decline to work with magazine sales businesses: First, magazine sales businesses typically prefer to accept payments on recurring billing. This payment method is more prone to customer chargebacks who either forget why they made the purchase months later, or want to cancel despite the company’s refund policy. Second, magazine sales businesses often accept payments over the phone. These types of credit card payments are subject to higher rates of fraud and chargebacks, meaning additional risk exposure for the credit card processor. And finally, magazine subscription sales businesses typically are reselling magazines produced and delivered by third parties. They themselves do not ship the magazines, and therefore have little control in the event of a distribution problem. Again, this adds to chargeback vulnerability. Combined, these three reasons mean that many merchant services providers decline to work with the entire magazine subscription industry, despite the fact that most businesses provide a valuable service and are well run. 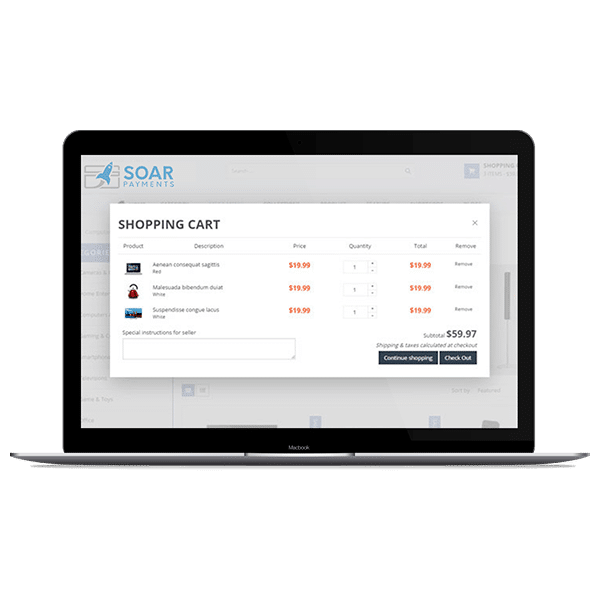 Soar Payments, by contrast, has been proud to offer merchant accounts to magazine subscription businesses since the company’s inception. Our extensive relationships with credit card processors and their sponsor banks who are comfortable underwriting businesses categorized as mid-risk or high risk, as well as our integration of specialized fraud and chargeback mitigation technology, uniquely positions Soar Payments to provide stable and affordable magazine subscription merchant accounts, without the interruptions and payout freezes that businesses have seen at companies like PayPal and Stripe. Subscription Genius, SmartPublisher, MagHub, RunMags, SimpleCirc, NewsCycle, BluIQ, and ELAN; as well as non-industry-specific CRM platforms including SalesForce, Zoho CRM, and ChargeBee. 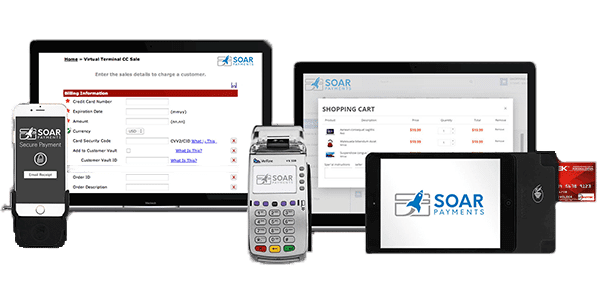 Soar Payment’s magazine subscription merchant accounts can be integrated with most other software or CRM platforms which are compatible with the Authorize.net, NMI, or USAePay payment gateways. A retail merchant account enables your business to accept in-person credit and debit card payments via a point of sale system or traditional credit card machine. Ideal for businesses operating from a retail or storefront location and who have reliable wired internet access. These merchant accounts typically have low rates of fraud and chargebacks and are therefore afforded the lowest pricing. A mobile merchant account enables your business to accept in-person payments via an attachment that plugs into your mobile phone or iPad. Best suited for magazine sales businesses that operate outside of a storefront setting, such as businesses selling at the customer’s location or at conferences. Mobile merchant accounts are priced similarly to retail, due to their lower vulnerability to chargebacks and fraud. Frequently called a payment gateway merchant account, a virtual terminal enables your business to accept payments over the phone, via mail order, or simply typed into your computer without needing outside equipment. Primarily suited to magazine subscription businesses that accept payments over the phone, payment gateway merchant accounts are unfortunately vulnerable to chargebacks and fraud, and as a result we offer integrated technology to protect your business against these risks. An eCommerce merchant account enables your business to accept online payments via your company’s website. eCommerce magazine sales merchant accounts are ideal for businesses that want to accept online payments. They integrate with most major payment gateways and shopping cart platforms, making setup simple. Due to fraud vulnerability, we offer integrated chargeback and fraud tools with these merchant accounts. What types of magazine sales businesses do you accept? 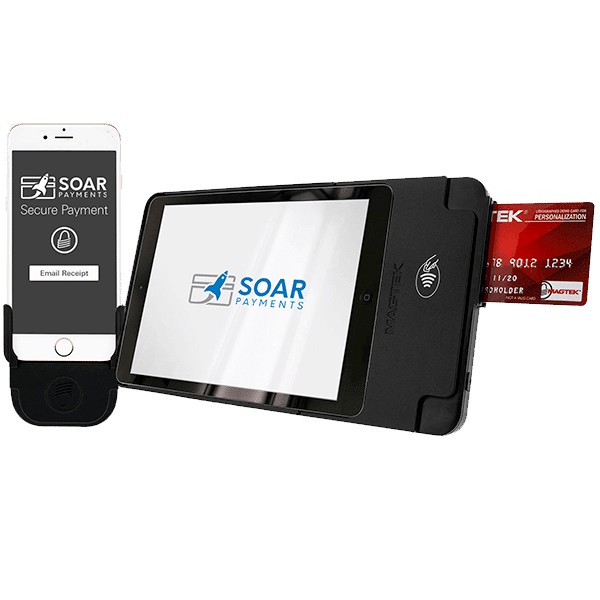 Soar Payments works with credit card processors who accept a wide range of magazine sales related businesses. These include: magazine sales, magazine subscriptions, specialty periodical sales, and newspaper sales businesses, among others. 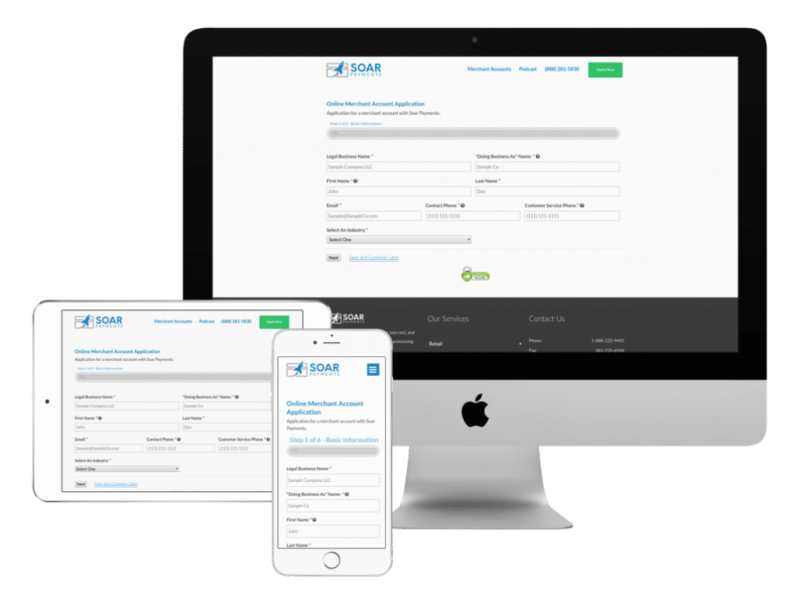 Is Soar Payments compatible with my existing CRM or subscription management software? Magazine subscription businesses — whether they product and distribute their own magazine, or sell subscriptions on behalf of other publishers — typically have a preferred CRM or subscription management platform they use. 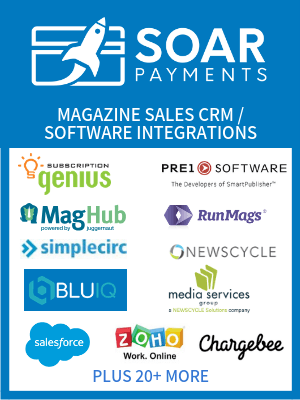 Because Soar Payments works with most major payment gateways (including Authorize.net, USAePay and NMI), our merchant accounts integrate with most magazine software suites including: SubscriptionGenius, Smart Publisher, Mag Hub, Run Mags, Simple Circ, News Cycle, Blu IQ, and ELAN. Of course, many magazine subscription “re-sellers” use non-industry-specific CRM platforms like SalesForce, ZohoCRM, and Charge Bee, and SoarPay merchant accounts are compatible with those software platforms, too. ​Can I accept recurring payments for magazine sales? Yes, we know that most magazine sales companies prefer to package their subscription offerings in monthly recurring billing charges. 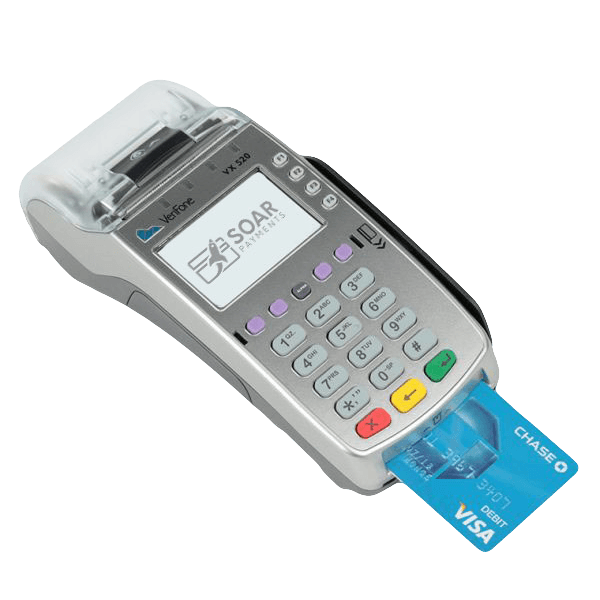 Therefore, while all businesses are individually underwritten and subject to unique requirements, generally speaking, magazine sales credit card processing accounts do permit monthly recurring billing. 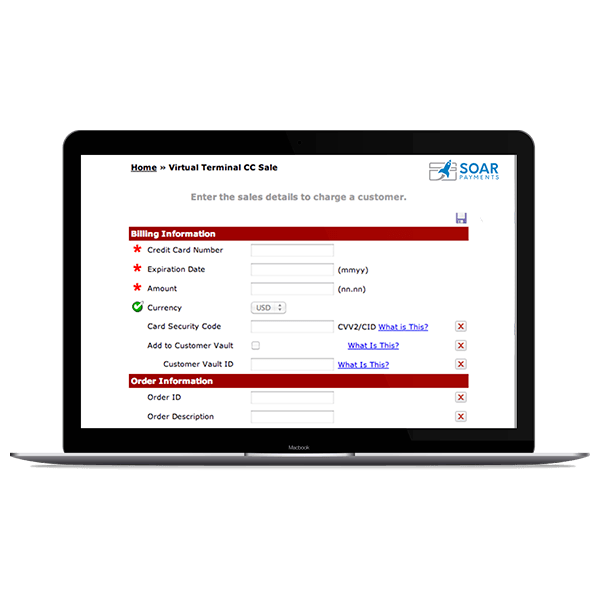 What criteria does my magazine subscription business need to meet, to be approved for a merchant account by Soar Payments? To be approved, magazine subscription businesses must meet the the following criteria: must not make outbound calls to obtain customers (inbound marketing only); must be billed monthly with subscription length of 12 months or less (no subscriptions over 12 months); must not sell Adult magazines.